Coffee Talks and Cat Walks: Legwarmers in May? Legwarmers....umm, No. ...But it does look like it. These are just my bees doing their thing, working their magic, collecting pollen. I took a few close-ups today to show just what this looks like. 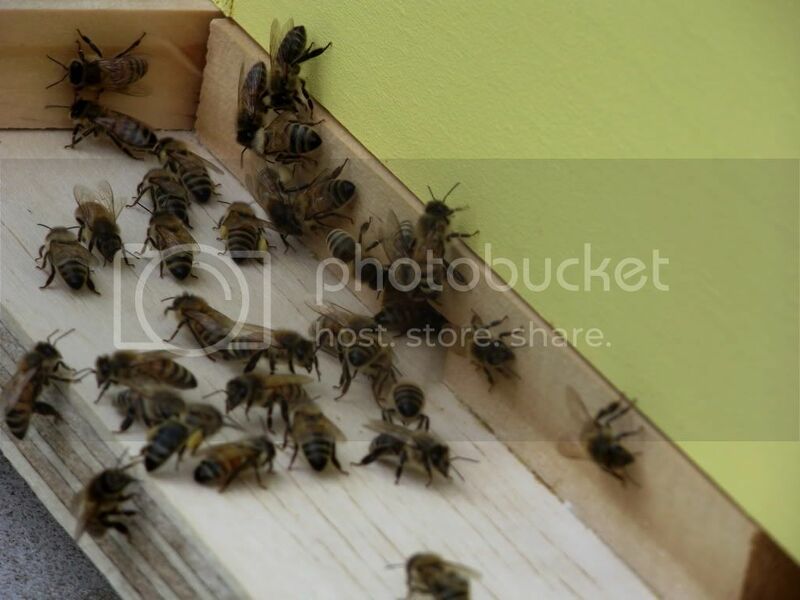 Last week my bees were collecting red pollen from somewhere, but I didn't see any of them coming back with that today. 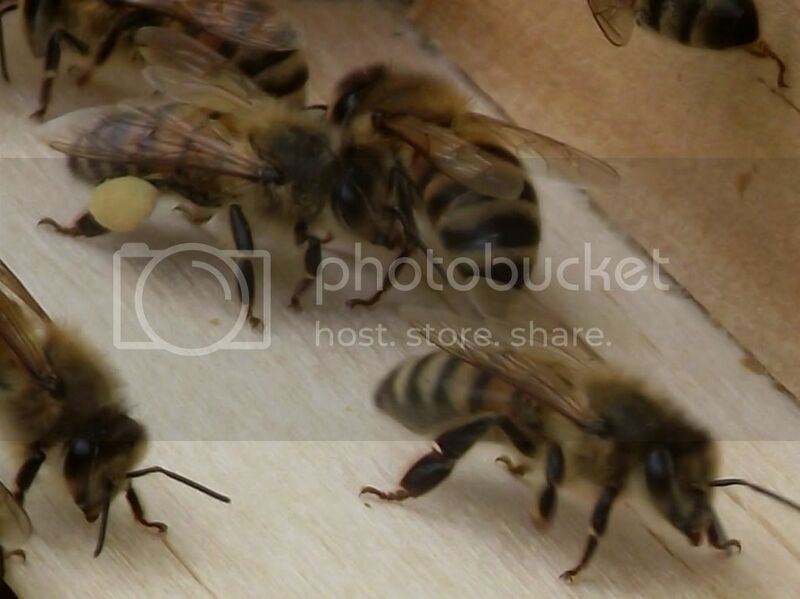 Click on the photos to enlarge them and you'll see the pollen. 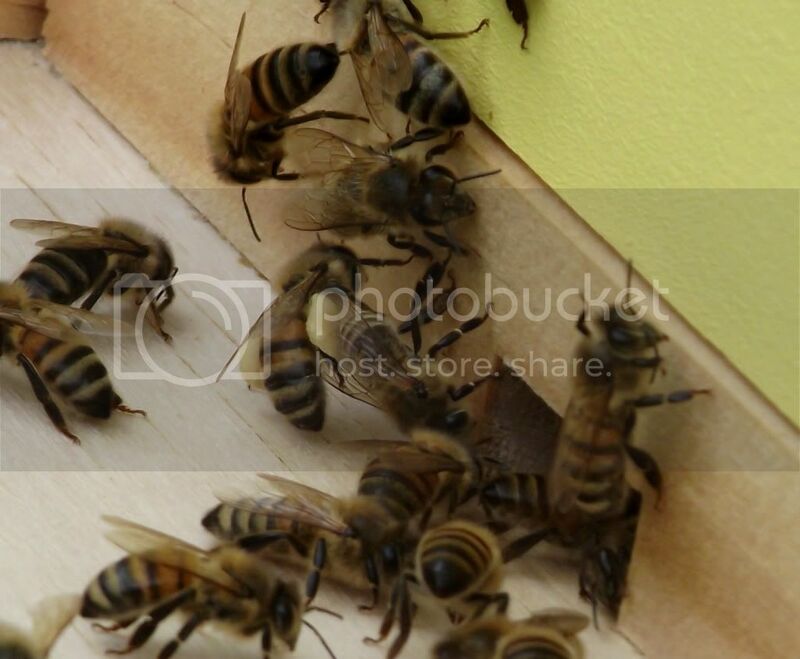 Hi, awesome hard working bees, great blog. This is amazing...it is like the have built in purses or something :) Wow...you have bees?!?!? I just stumbled on your blog and it is clear that I have a bit of catching up to do! Are you interested? Pls. email me at deeprootsathome@gmail.com about when the next time might be :) Thanks!